littlefour is a smartly curated shop and design studio located on Main Street in downtown Sebastopol, between Sebastopol Cookie Co. and Apple Blossom Beads. We make and stock well-curated selection of unique handcrafted housewares, clothing, accessories, and gifts. 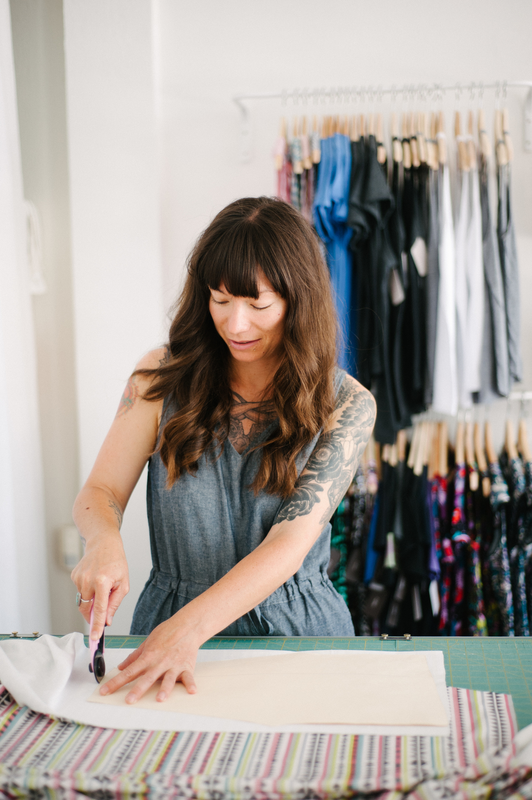 In our shop, you will find local and independent artists and makers from the Bay Area and beyond, including in-house label littlefour by designer and owner Danielle Rodrigues. We create a fun and inspired shopping and community experience that connects our customers to the artists and designers we carry. littlefour will be hosting monthly events such as workshops, movie nights, trunk shows, and special gatherings. At littlefour, we want every purchase to have purpose. The items in our store are more than just products. Every piece in the store has its own story and has been chosen because it is handcafted, ethically-made, well-designed, and beautiful. We are here to help tell the story of our artists. Who made it, how it was made, and where it came from. In the shop, you will find the design studio for my in-house label, littlefour, a handmade clothing line for women and children. For ten years, I have designed and sewn every piece. It truly is a one woman show! I am a Bay Area artist and designer, creating my women and children’s clothing line, littlefour, for over ten years. Trained at Apparel Arts in San Francisco, my designs have been featured in prominent national magazines, design and clothing blogs, and in stores across the US, UK, and Australia. I had a small store in downtown Vallejo, California called littlefour&friends. My newest project is a brand new store and design studio now open at The Barlow in downtown Sebastopol, California. It's simply called littlefour.